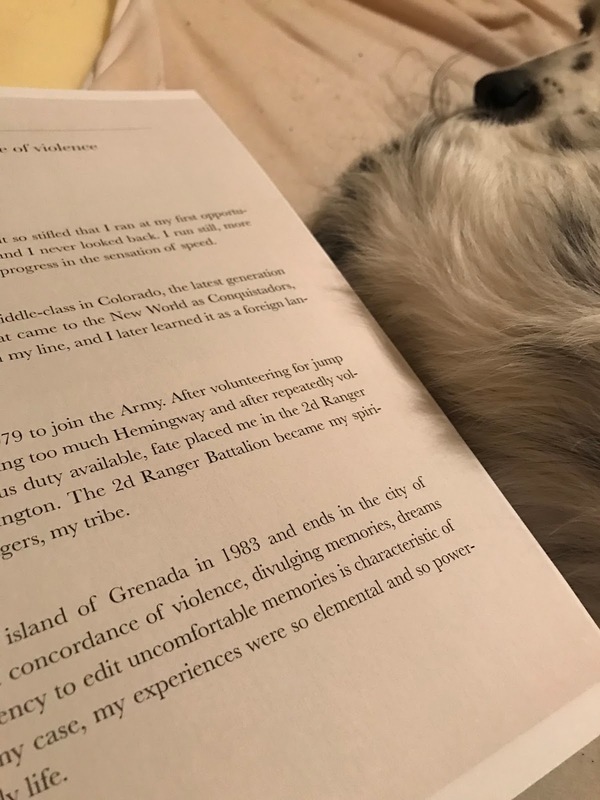 My brother Brian Donovan sent me this photo of my first book, A Tale of the Grenada Raiders. 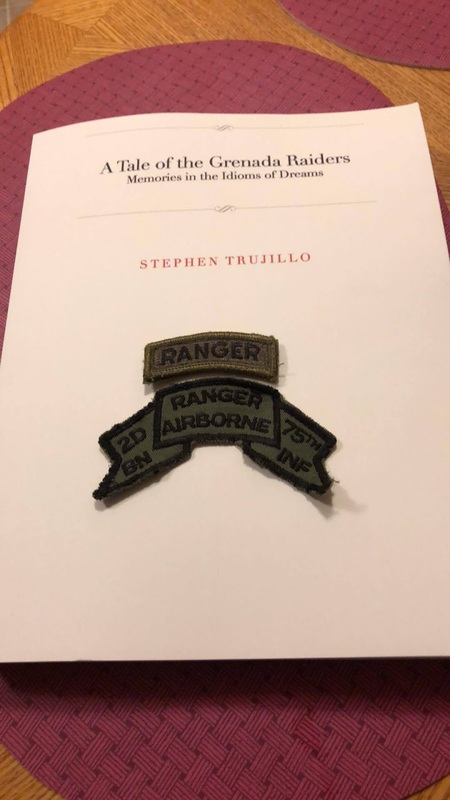 Available on Amazon and on iBooks, Ranger Karl Monger at The New American Veteran published an interview and my friend Greg published an excerpt from Chapter 13 in Soldier of Fortune Magazine. At this writing, there are now 40 5-star reviews of the work on Amazon. A friend and associate on SOCNET asked me "how does one write a book?" "...I am no expert, but I will say that the simplest way to write is to just tell stories, tell them like you would if you were around a campfire. Writing is writing, yes, but it is story telling, and never forget that the first stories were oral, they were told with the mouth, to a small audience around a campfire. I took writing courses decades ago when I was a student at CU-Boulder before I enlisted. They did not teach me to write. I suppose that you can say that I am self-taught, and it took me years to find my voice. 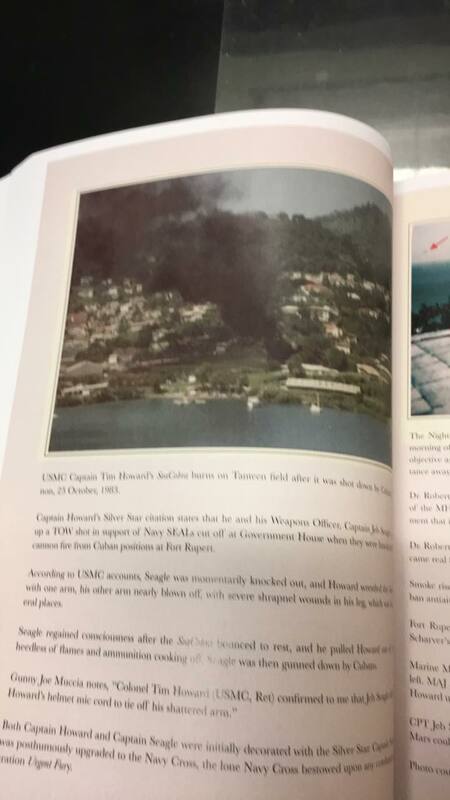 Tim Latsko sent me this photo from Chapter 13. The short cut is to just tell stories. Let them be as long as they need to be, but break them up if they get too long, and just tell stories. Remember that most of us these days are reading on phones and tablets, and there are many distractions vying for our time. So say your bottom line up front, then tell the story. The simple way to organize is to tell your audience what you are going to tell them at the outset. Then tell them. Then conclude by telling them what you told them. A. Tell your audience what you are going to tell them. BLUF. B. Tell them, ideally organized chronologically or sequentially. C. Tell them what you told them. If you keep it simple like that, advice that I obviously do not always follow myself, you will make it easier to tell the story and for a reader to follow it. My secret: I read everything aloud. If it sounds wrong, it is wrong. Fiddle with it until it flows and sounds just like you speak. Final advice: never assume that nobody will want to read what you write. That is not why you write. I write because it is a compulsion for me, I have always been a writer, my entire life. My Ranger bro Mike Stewart sent me this photo of my book with a Ranger tab and old scroll 2d Ranger Battalion shoulder insignia. You cannot envisage all the various readers who will read you. I had 14 year old girls write to me and tell me that they liked my writing. Never saw that coming. If it works better for you, just tell the stories orally and record them, then transcribe them. Make an introduction telling where the stories came from and why you wrote them, and what they are about. When you are done, tell the reader what you just told them, tie up any loose ends and dangle something more to come so folks will want to read what you write next. Available now on Amazon and on iBooks. Coming soon as an AudioBook.